Stream the Mayweather vs. McGregor weigh-ins live right here starting at 6PM ET/3PM PT. 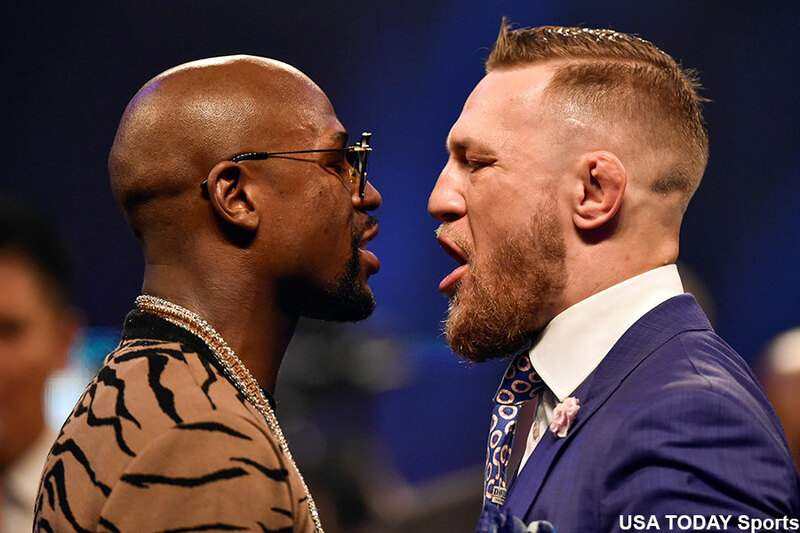 Floyd Mayweather and Conor McGregor will square off for the final time Friday before tomorrow’s box-office boxing match. Mayweather has boasted that he’ll easily make weight for their junior middleweight fight, while downing Big Macs and Whoppers in the process. Mayweather has claimed McGregor is having issues cutting weight in order to make their 154-pound scrap. McGregor’s camp has denied their fighter is having any complications shedding the weight required for their tango. It is believed McGergor will be cutting between 20-15 pounds. It shouldn’t be too big of a concern since “Notorious” had to hit 155 pounds on the dot in capturing the UFC lightweight title in November. McGregor is a professional, so he’ll make the weight. The questions are how depleted his body will be in getting there, and more importantly, how much of an affect will it have in his performance tomorrow? T-Mobile Arena in Las Vegas, Nevada hosts Saturday’s event.